Join the waitlist now, bud! ...by attracting the RIGHT people, so you can convert followers to clients and tell your story in a meaningful way. ...So, 45 minutes later, you’re finally putting the finishing touches on a caption (Too short? Too long? Oh, sweet Goldilocks, I totally GET it! ), hitting publish, aaaand pasting up hashtags that won’t put you in Instagram jail. WHEW -- Made it just in time! But … that engagement doesn’t exactly come zooming in like you thought it would. And cue 12 hours later, you’ll be making your boo thang hit pause on your fave show so you can stop everything and post something else, because that’s what creative entrepreneurs do, right? It's time to take the mystery out of those little squares. ‘Cause hey. I see you, my friend. What if we made Instagram fun* again for you? Loyal, comment-happy -- even semi-obsessed! -- followers, who happily invest in your biz as new clients, because your feed reads like a mini-magazine and they were dying to work with you. An audience anxiously awaiting your next heartfelt post, any announcement of a spot open to work with you, and each offering you put out, because your content speaks right to them. Sales driven through authentic, intentional posts that flip the scammy salesman pitch upside down, meaning you’ve actually started paying yourself on a regular schedule -- whoop! A voice so instantly recognizable, fans spot your words and work from a mile away, letting you put your mark on the world in a big way. In two years, I went from less than 2,000 followers to over 64,000 and my audience continues to grow every single day. Not only does my audience continue to grow, so does my ability to sell my services. 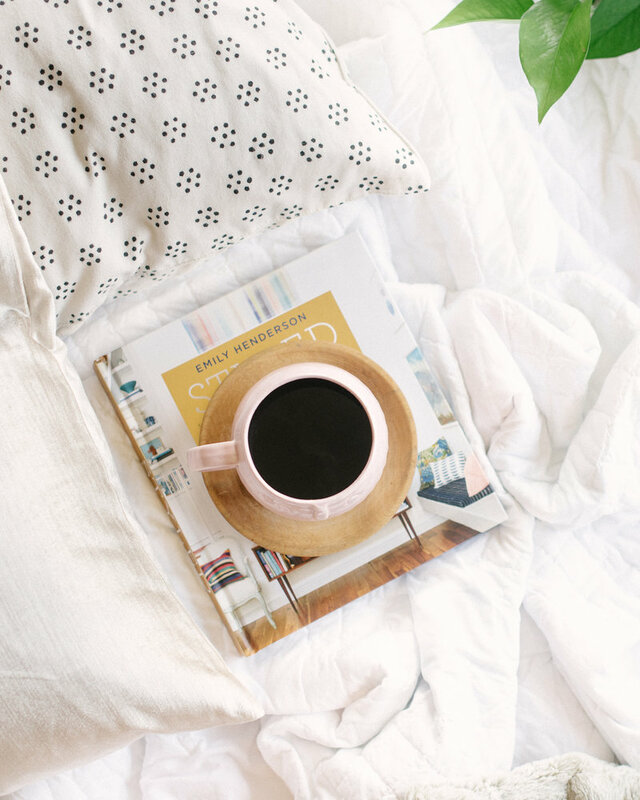 The Instagram Lab is your A-to-Z blueprint to learn the ropes on dream client connection and driving profits … all in a 5-week, self-paced course. I’m handing over the step-by-step system I used to get there to you. Bummer, you missed it! We closed! 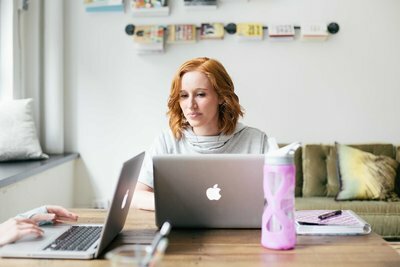 "Jenna's Instagram Lab course was the first education purchase I ever made.... Within 3 months, I had hit my 6 month goal of new followers!" “When I first started my business 3 years ago, I downloaded every free guide this or guide that. 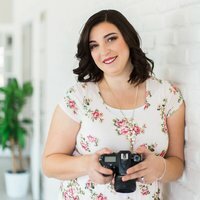 I watched every free webinar there ever was on photography. 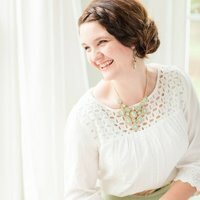 I was overwhelmed and burnt out -- I finally decided to invest money into my business education because I was desperate for help! Jenna's Instagram Lab course was the first education purchase I ever made. 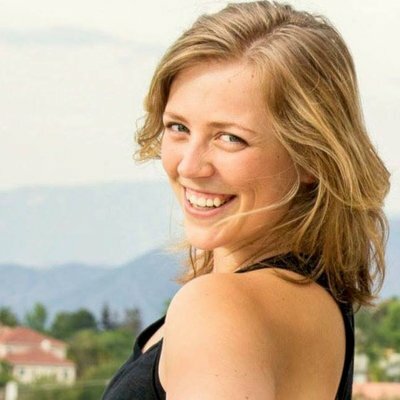 "Jenna’s program gave me a new love for entrepreneurship... and shoved out feelings of inadequacy. Plus, I’ve doubled my following and tripled my engagement!" 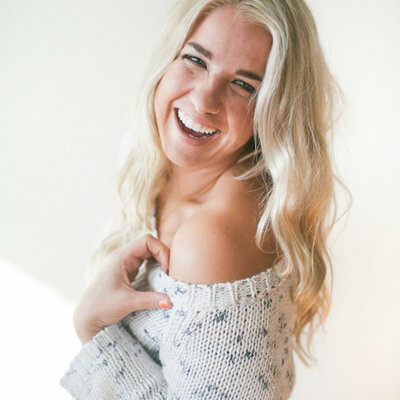 "Before I joined TIL, I had a deep desire to start my own business so I could help others, but was so in the dark about how to present that to the world in a genuine, stand-out sort of way -- I spent so much time trying to mimic the successful people in my industry! Jenna’s program gave me a new love for entrepreneurship, helped me come out of my shell, and shoved out feelings of inadequacy. 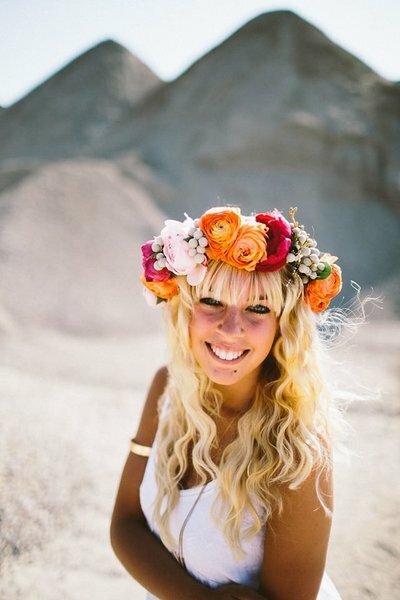 "Jenna helped me find confidence that I have a story to tell, and that I can tell stories worth reading. Now, I’m excited to post rather than dreading the blinking cursor." 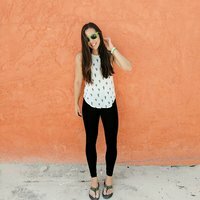 “I was stuck: I didn’t know what to post, how to make my grid look cohesive, or why I really needed to up my Instagram game. I kept hearing that Instagram was key to marketing, but didn’t have any idea how to even approach it. 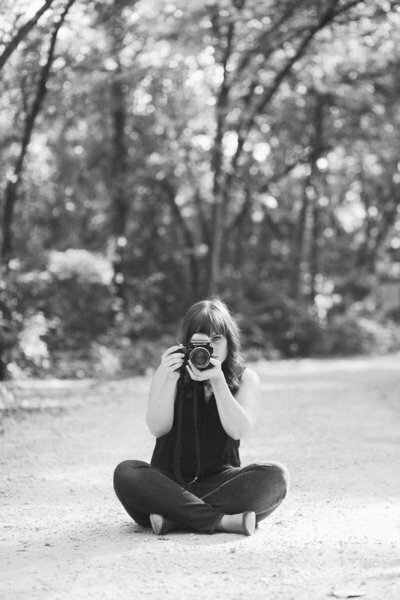 Jenna helped me find confidence that I have a story to tell, and that I can tell stories worth reading. Since joining the course 3 months ago, I have grown my following by around 1,500.... Sales now come directly from Instagram, which was a game changer for me! “Before I joined this program I felt like Instagram wasn't for me. I didn't know how to market to customers and get my products out there without making sales pitches! Since joining the course 3 months ago, I have grown my following by around 1,500. My feed has now taken a complete 180 and is cohesive with my brand image. Sales now come directly from Instagram, which was a game changer for me! I've also let myself open up to my followers and because of that I have made new connections and most importantly, new friends. My confidence in myself and my brand has grown because of the positive feedback from my followers, who have become much more engaged since I started making meaningful captions! I look forward to growing my business through these little squares! Fast forward 5 weeks, and be able to show off what matters most—you, your brand, and your message -- on everyone’s favorite app. You’ve left cheesy salesy posts and screaming to masses in your dust: you’ve mastered the art of a gentle whisper to the right people. Upon enrolling, get instant access to the entire course content -- no waiting games here, ‘cause I like Netflix binges too much. Pour a glass of wine and print out your workbook to start learning strategies I’ve taught all over the country! As you start putting your learnings to use, hop in our private community to dish out questions and make sure your feed is putting out the desirable posts your audience craves: nothing like an extra pair of eyes … and yes, mine will be there to help you! I’ve flown across the country teaching this to thousands of entrepreneurs, but being able to open up the blueprint for growing an intentional following fast and join you right where you are? That’s my jam. This strategy won’t turn you into me, it won’t make a perfect feed (um, that’s not fun), and it certainly won’t make you look like everyone else on Instagram. 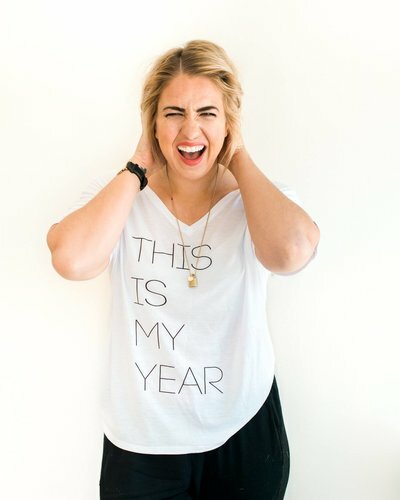 Instead, you’ll learn how to tell your story, own your voice, and share it with the world in a way that makes them stand up, take notice, and follow you to the ends of the earth (or to the ends of Instagram…it makes no difference here!). Do you constantly hear the catch words: aesthetics, curation, branding and wonder how it applies to Instagram … or your business? If you’ve ever felt like a tiny fish in a giant sea, week 1 is for you: It's time to celebrate what makes you stand out and elevate your brand along the way! • Let’s dive into the definition of a true brand, so you can learn to hack and celebrate the things that make you different in your industry. • Erase the need for competition with my tips on telling a brand story. • Unlock the mystery of attracting your ideal clients as we work through my brand identity cheat sheet -- the same process I work through! Confused about what you should be posting? Does it feel like everyone always has the pretty things to share and the perfect things to say and you’re over here scrambling through your camera roll trying to find a photo that’s “good enough?” No more staring at the blinking cursor expecting inspiration to strike when you open up Instagram: This week you’ll learn how to plan content like a pro. 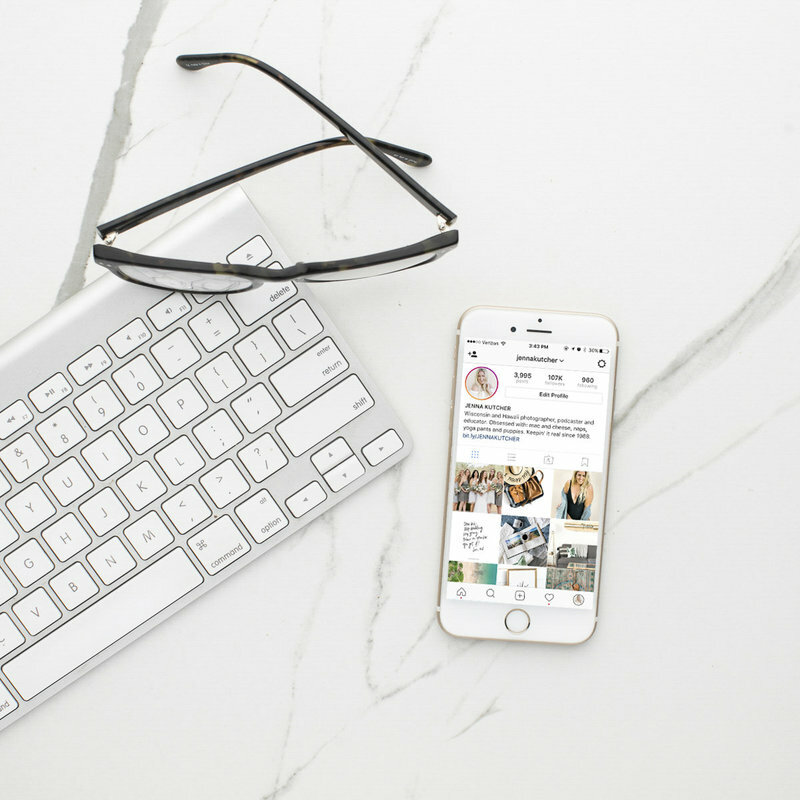 • String together your tech and aesthetics with ease with my printable posting schedule template, and learn exactly what to put in it. • Get my planning calendar, so you can expertly weave between “fun” posts and selling posts in a harmonious way. Stop trying to market yourself to the masses, let's pinpoint who exactly your ideal client is -- that’s who we want to serve! I’ll hold your hand while we figure that out. • Walk through my highly-refined system that’s PROVEN to help find you speak directly to your ideal clients. 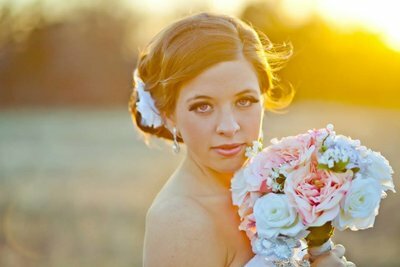 • Understand what photos to select to lend themselves to more ideal client followers -- and then more bookings. It isn’t just about growing a following. We know and believe that profitability will always trump popularity, so it’s time for some conversion. Now that we know who you’re speaking to, let’s figure out how to take ‘em on a journey: one that leads them into not only becoming your friend, but your client who is obsessed with what you do! Now that you’re feeling crazy confident in owning your voice, knowing who you’re speaking to, and your content is planned out for the next month, let’s talk about how to choose, curate, edit, and post kick-booty images. 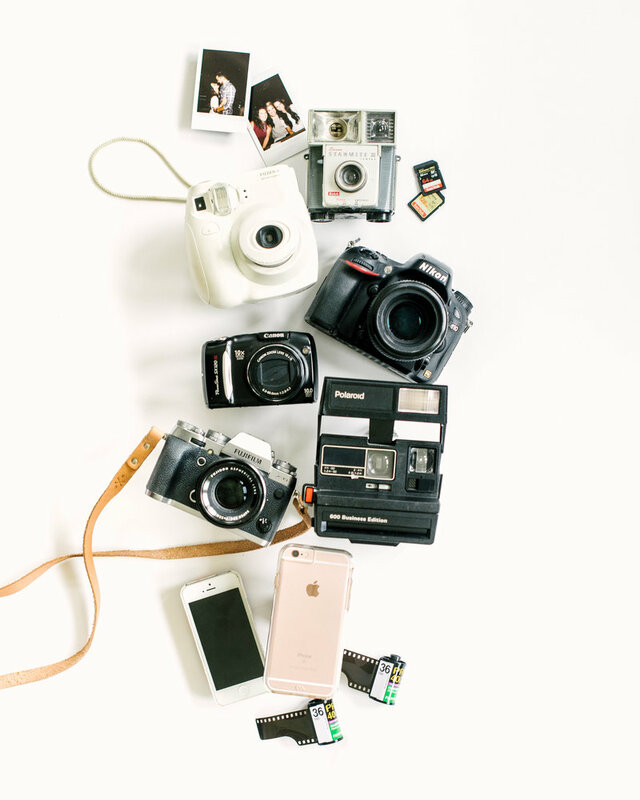 These photos aren’t just random or spur of the moment; they will be picked confidently and intentionally to not only show off your brand, but to tell a bigger story than just the products and services you create. • Watch how I use my iPhone and FREE apps to edit my images so that your photos can look just like mine. • Get a behind the scenes look of how I style, shoot, and create beautiful images for Instagram. 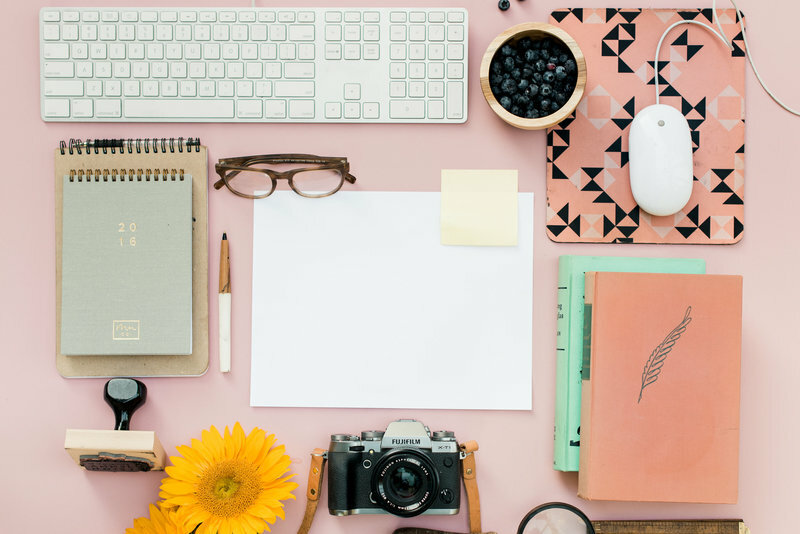 • Streamline your posting process by grabbing my personal action steps to shoot, edit, and hit “post” like a pro -- because you don’t have to be a masterful photographer! • BONUS MODULE #1: The One or Two Account Debate: Should you have two Instagram accounts or one? Let’s talk about when it works to have two accounts or when you should just keep it all in one place! • BONUS MODULE #2: To Regram or Not to Regram: When should I regram? How do I regram properly? When does it make sense for me and my brand and when should I attempt to create my own content? Let’s dissect this! • BONUS MODULE #3: I want to collaborate for features: How do I collaborate with others on Instagram? How can I team up with brands and share their products with my followers? What do these collabs look like? • BONUS MODULE #4: Dream Client Deep Dive: I’m stumped on knowing exactly who to talk to, how can I speak directly to my dream client and who are they? To Fast-Track Your Instagram Success! That’s more than 8 printable checklists and cheatsheets, a 22 page workbook, 6 hours of video, 10 freebie bonus modules, and access to a private online community of more than 1500 new friends (and soon-to-be followers!). 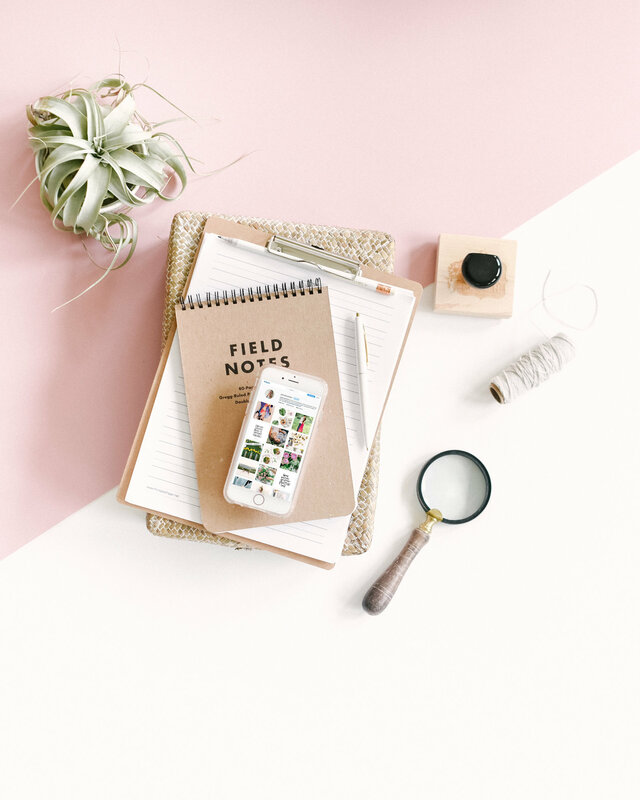 The Instagram Lab is a course built to help any entrepreneur, creative dreamer, or just simply anyone looking to grow a following on Instagram. I want this course to be accessible to everyone who is pursuing something big, no matter what stage of business you’re in, from beginners with a dream to the experienced entrepreneur who's ready to not only grow their following, but grow their profits! We're closed! Join the waitlist! I gained 300+ new followers and my engagement has gone through the roof. I've been much more candid and emotional in my posts, and it hasn't just impacted my metrics, it's impacted the way I think about Instagram as a whole. I can't wait to go forward and maintain this level of authenticity in future posts. "My engagement has gone through the roof." I've had some amazing growth in the last week (over 500 new followers to be exact) BUT what's even more impactful is that I have completely reworked my strategy by seeing visually what posts my audience connects with. The personal post I shared was my hugest engaged post EVER and I am thrilled to be sharing more posts just like this to stay genuinely connected to my tribe. "Over 500 new followers to be exact..."
I gained 500 followers in ONE week, and my comments have doubled. This is a favorite comment that speaks to exactly what Jenna has taught us to aim for: "I love your philosophy Evann! You really bring something unique to the Insta space." Best of all, I've learned to stop comparing myself to bloggers in my category. Unique wins every time! 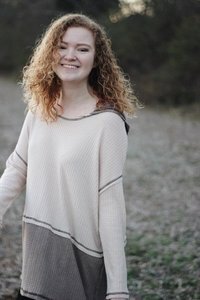 "I gained 500 followers in ONE week..."
Just wanted to share something HUGE that I have learned from Jenna and tell you that the stuff that she teaches works! At the beginning of 2016 I committed to improving my Instagram account after encouragement from the many helpful tips from Jenna. In the past week I have received TWO wedding inquiries from brides saying they found my work on Instagram, which I had never heard before. This course is gold. It was sort of like Jenna sprinkled magic dust on my Instagram! I was blown away by the engagement of my followers by requesting they describe my work in a few words. Some old clients even went above and beyond with sentences of love, with one e-mailing me the sweetest review. It was seriously so great and too easy. Thank you so much Jenna! Can't wait to see where else week one takes me! "Jenna sprinkled magic dust on my instagram!" Jenna rocked my Instagram and helped me figure out where the gaps were in my strategy! I took everything, applied it to my business and watched my account grow by the thousands. My account has grown by 10K in just a few MONTHS. Maybe marketing is much simpler than we thought it was! "My account has grown by 10k in just a few months." Before this course I was averaging between 25-40 likes per picture. After taking Jenna’s advice on telling a story in the caption instead of just saying what I am used to seeing, I got 150 likes on that image. 150! I didn’t even think people noticed me that much on Instagram. So props to Jenna for the amazing advice. "After taking Jenna's advice...I got 150 likes." Q: Right now is a busy time for me, I’m worried I won’t have time! Do I need to follow week by week or can I go at my own pace? Q: How long will I have access to the content? Will the course expire? A: Here’s the good news, this course is for any kind of business owner. From photographers to florists, calligraphers to designers, brick and mortars to bloggers, fitness gurus to foodies, big brands to ma and pa shops, the beauty of The Instagram Lab is that our students span across hundreds of industries. Worried it might not work for you? Check out #theinstagramlab hashtag and check out all of the awesomeness my students are creating! Q: I’m a ____fill in the blank____ , will this work for me? A: Here is what The Instagram Lab isn’t: it isn’t a place where I tell you how to scam people into following you or tell you that you need to hire someone in another country to help you grow your account. In fact, I’m going to teach you how to feel empowered in both telling your story and in marketing! You don’t need to worry that I’m going to take your money and run, I am an invested instructor who is set on making sure you are a success (because when you are a success, so am I!) 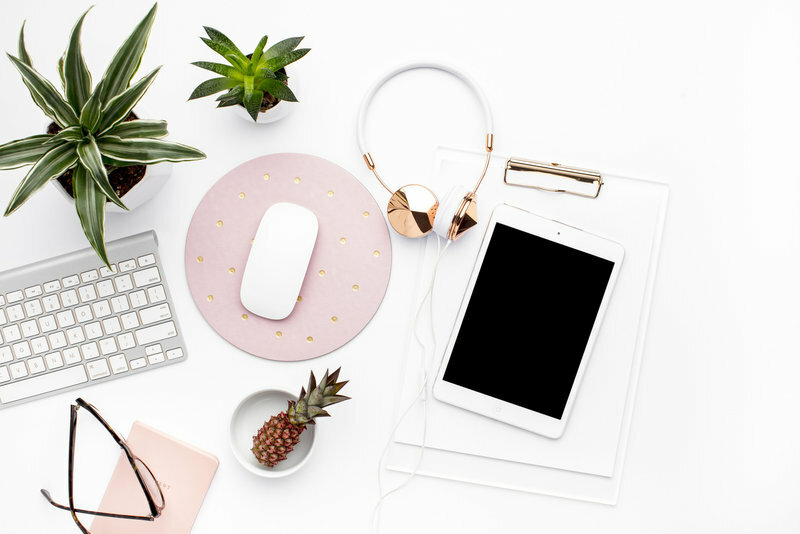 This course is about living life beyond social media and in finding your voice and groove so that you can grow a tribe of followers who love you for YOU! Q: I’ve bought other Instagram courses before and have been disappointed. I’m worried this is “just another Instagram course.” How is yours different? A: Since this is a go-at-your-own-pace course, it will differ for everyone. The recommended amount of time to spend on the course per week is about two hours if you want to finish it in five weeks! I recommend you listen to the module once or twice, spend time completing the workbook, and then implement. I love that you can pause during your busy weeks, take the modules on the go, and revisit a lesson when you’re feeling stuck. Q: My time is limited, how much time will I need to set aside each week for the content? A: Guess what? I understand that everyone has different learning styles, which is why I’ve got you covered. The content is delivered in multiple ways to speak to your personal learning style. You can watch the slideshow and hear my voice, you can download the slides, you can just listen to the mp3 (on the go! ), OR you can read the transcription! That’s right, we have four ways for you to ingest the content, so there’s absolutely no reason to fall behind or worry! Q: How is the content delivered? I’m worried that I won’t learn the way I like to learn best. A: The Facebook group is an added bonus! I pop in weekly to answer questions, provide feedback, and encourage you on your journey through The Instagram Lab! I am anything but an absent leader and with a community of 1,000 Instagrammers, you will find support in the Facebook group! I love guiding you through the process and holding your hand as you try new things, implement new strategies, and grow your tribe! This group will never expire, once you’re in, you’re in for life! Q: How does the Facebook community work with The Instagram Lab? I’m not sure I want to be added into another group! A: I want to be where the people are (I hope you just sang that like Ariel from The Little Mermaid!) so I am hanging out in the hashtag and in our private Facebook group! I love doing Facebook LIVE videos to answer your questions and break things down for you if you’re struggling! These videos are generally 20-30 minutes of Q+A and it’s a really great way to connect, ask specific questions, and get feedback! Q: So, I’m curious, does Jenna do 1:1 feedback or group calls? A: Absolutely not! There is a reason why I chose to do a lifetime, go-at-your-own-pace course, why? Because life is busy, chasing dreams is busy, and running a business is busy! I want you to jump into the content when your life allows and when you’re really invested in the process and ready to rock! This course isn’t for people who just want a secret recipe or a one-stop shop, it’s for people who are ready to do the work. Only you can determine when the time is right to make big things happen! Q: Will I miss out on anything if I buy now and have to start the course later? The timing just isn’t right for me right now. A: Oh sweet friend, this is the time. Here’s what I think: if you ever decide to launch a business, start a blog, or sell a product or service, you’re going to wish you had started today. Sure, it’s going to take time, but time will pass anyway. This class will teach you how to build a brand around YOU and tell your story (so that if your story ever includes any of the above, your audience will be warm and excited to join your newest adventure!) Trust me, your future self will thank you for taking a leap today! Q: I don’t have a business or product quite yet, why should I join now? How will this help me? I'm Jenna. I'm a hopeless romantic who lives in yoga pants and is fueled by coffee, macaroni and cheese, and sour gummy worms. I am a wife to a handsome man and a mom to two scruffy rescue pups. I love traveling the world and hibernating in the winter. I love to watercolor paint and require a daily nap. Shoot! We closed! Join the Waitlist. 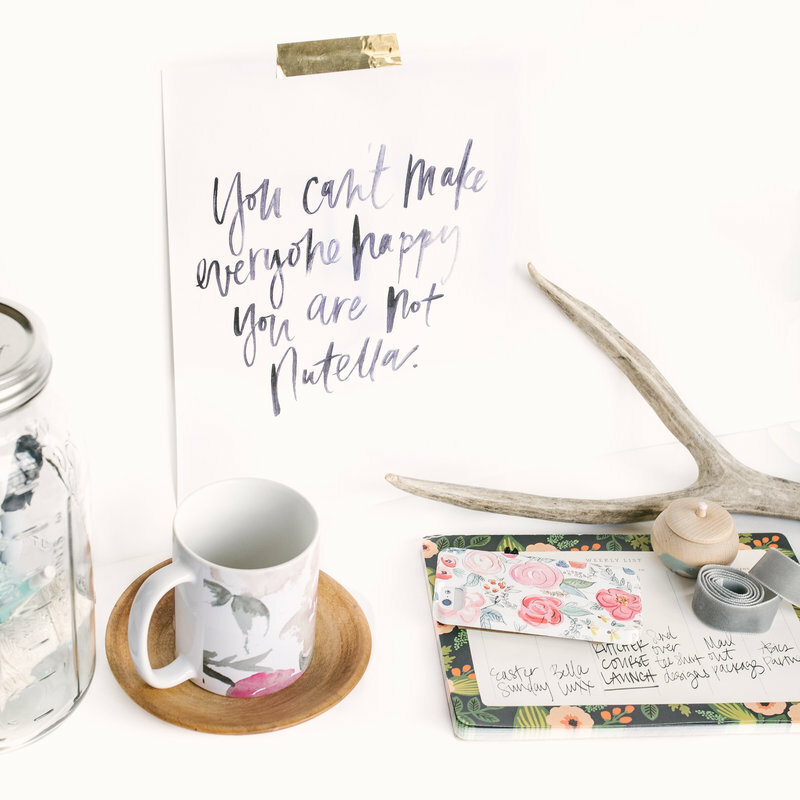 Sign up for the JKC newsletter to get instant access to freebies like Jenna's profitable pricing and Instagram growth guides, how to make a compelling about page mini lesson, course updates and advice written for creative entrepreneurs just like you! We want you to be satisfied with your purchase but we also want you to give your best effort to apply all of the strategies in the course. We offer a 15-day refund period for purchases. However, in order to qualify for a refund you must submit proof that you did the work in the course and it did not work for you. 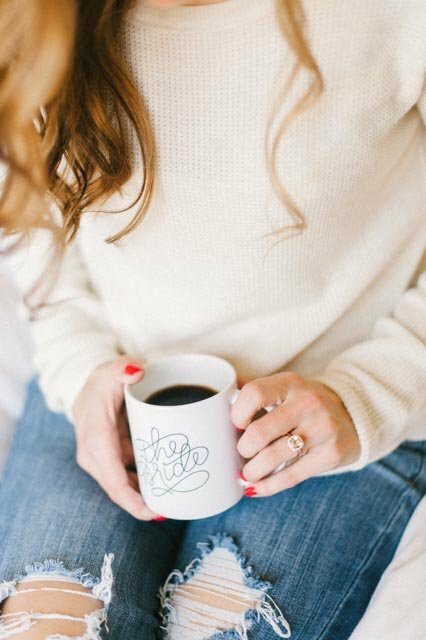 In the event that you decide your purchase was not the right decision for you or your business, within 15 days of enrollment, contact our support team at support@jennakutcher.com and let us know you’d like a refund by the 15th day at 11:59 CST. You must include your coursework with your request for a refund. If you request a refund and do not include your coursework by the 15th day, you will not be granted a refund. + We will NOT provide refunds more than 15 days following the date of purchase. After day 15, all payments are non-refundable and you are responsible for full payment of the fees for the program regardless if you complete the program. Please note: If you opted for a payment plan and you do not request a refund within 15 days, with the required coursework at the time of your refund request, you are required by law to complete the remaining payments of your payment plan. All refunds are discretionary as determined by Jenna Kutcher LLC. To further clarify, we will not provide refunds after the 15th day from your date of purchase and all payments must be made on a timely basis. If payments are not made on time, you agree to pay interest on all past-due sums at a rate of 1.5% per month or the highest rate allowed by law, whichever is greater. If you have any questions or problems, please let us know by contacting our support team directly. 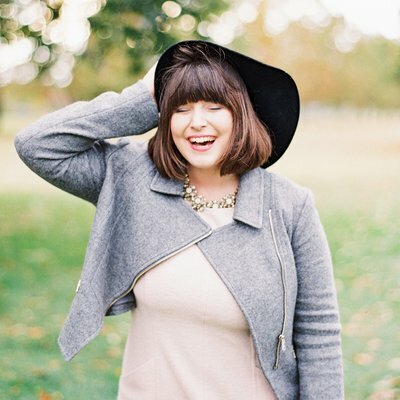 The support desk can be reached at: support@jennakutcher.com!